You may remember my post about our non-traditional holiday tradition and this year that means our entire house turned into the magical world of Harry Potter! 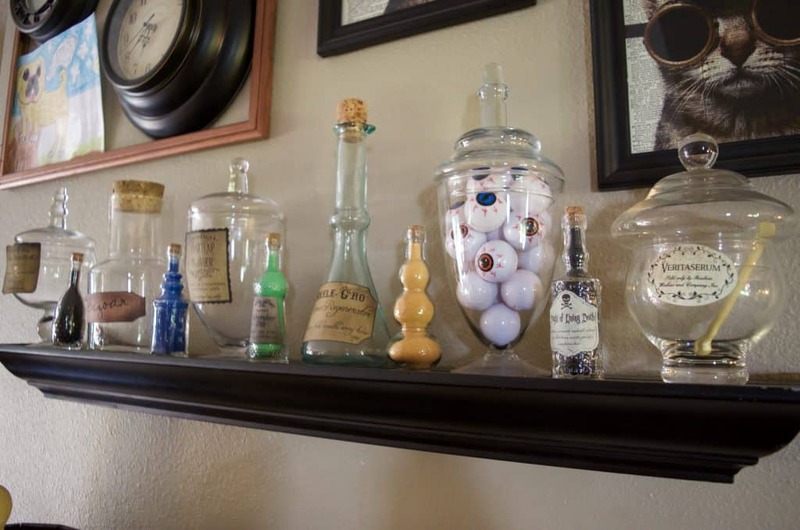 There is no shortage of amazing ideas of DIY Harry Potter crafts & decorations so I got some of my ideas from Pinterest and some from the depths of our creativity. We even have a free printable Harry Potter quotes bookmark set! 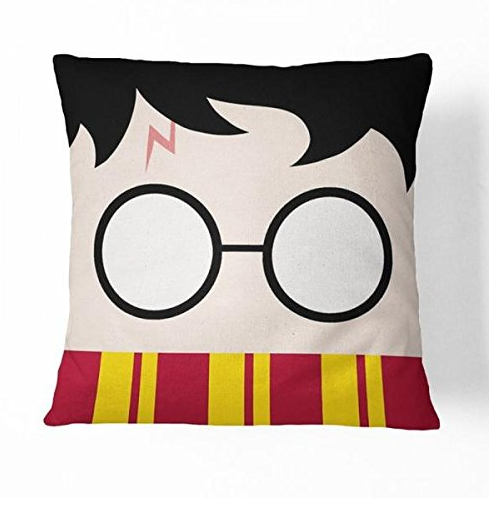 I’ve also spent an insane amount of hours researching the CHEAPEST places to buy Harry Potter memorabilia since it was high on my children’s Christmas wish list. I’ve shared with you links and ideas below for where we have found the most affordable (and downright inexpensive!) 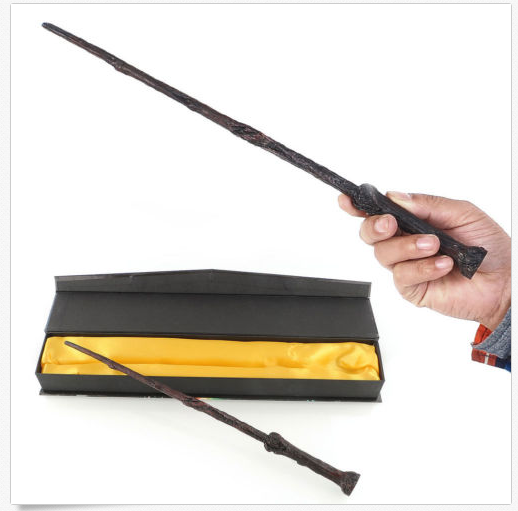 Harry Potter gifts. 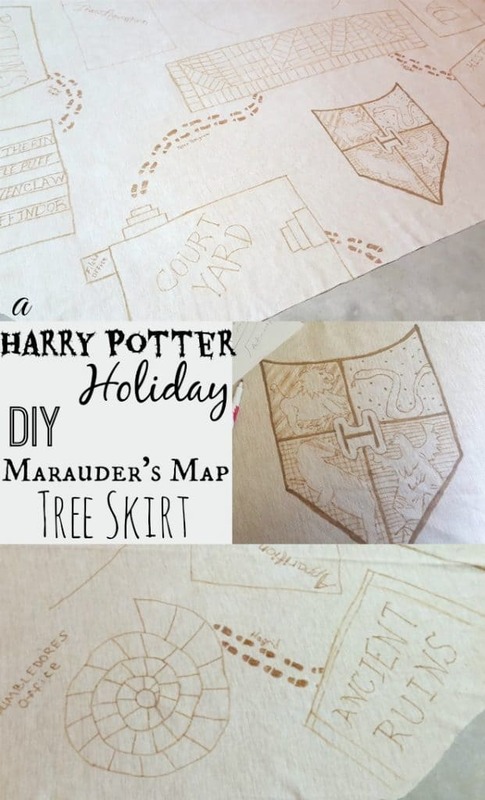 One of the first things I made for the season was a Marauder’s Map inspired tree skirt! 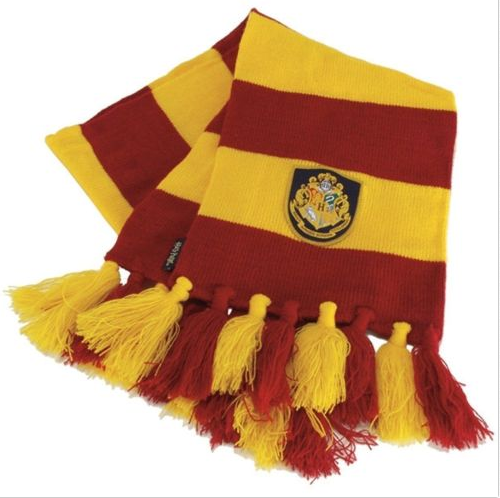 For Harry Potter Wands, Film Cells, the Marauder’s Map and Hogwart House Scarves – the CHEAPEST place (after hours of searching!) is generally eBay – hands down! 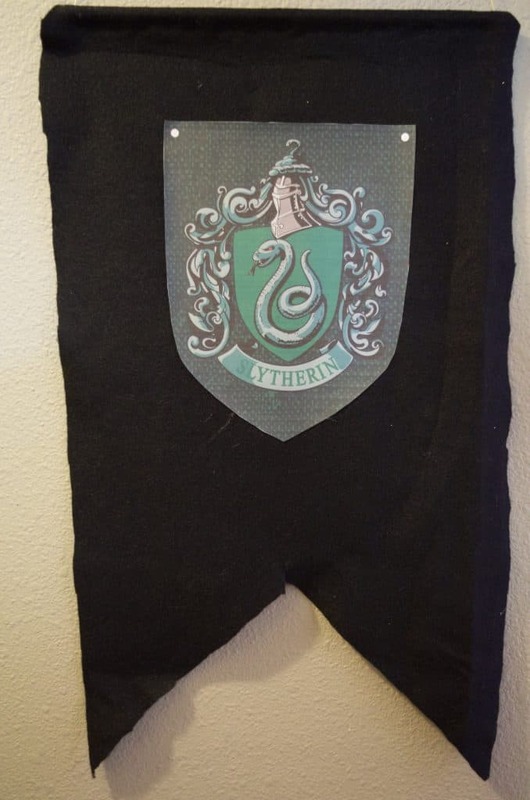 I also bought a CHEAP Sorting Hat Keychain for just over $1 as well as cheap Hogwarts Crest collector pins and this beautiful Dobby Wall Art work for under $6! 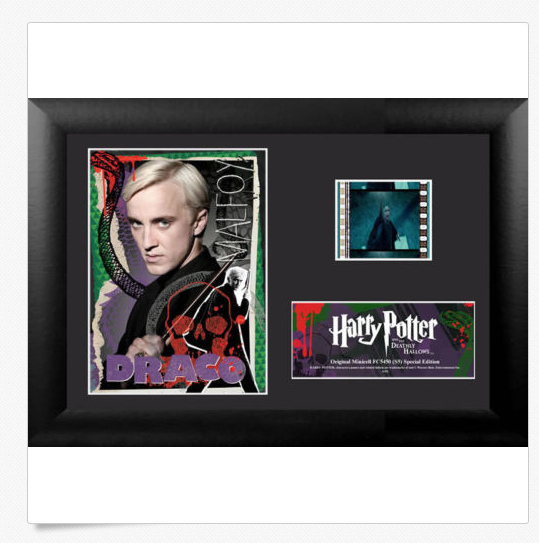 I’ve also purchased all of our Harry Potter jewelry for party favors there for about $1-$2 or less each – just scroll through till you find them. 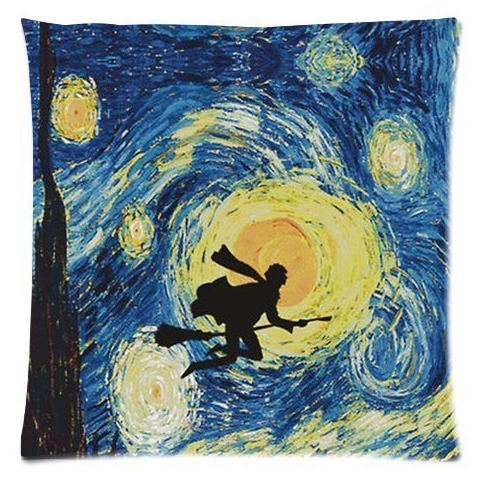 For Harry Potter Pillow Cases and Pillow Covers Amazon is hands down the CHEAPEST place for these! I’ve purchased quite a few of these for cheap decor for my kids room. 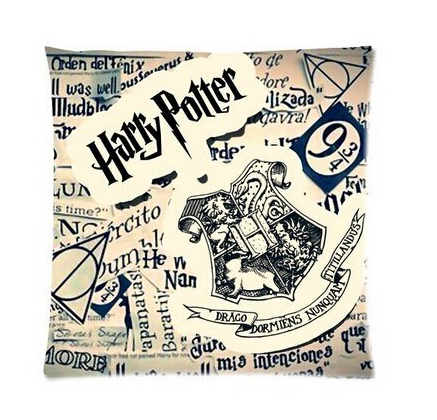 Some of my FAVS are these pillow covers: Platform 9 3/4, Harry Potter Head, Marauder’s Map (regular size here), Hogwarts Crest, Starry Night, Hedgewig, Gryffindor Crest, HP Newspaper, and SO many more! 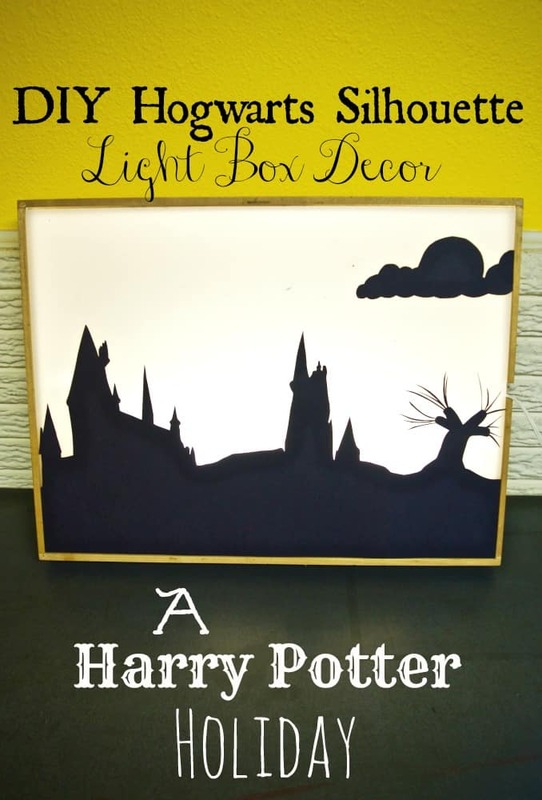 I LOVE the dimension that my Hogwarts Light Box Silhouette adds to the mix! It didn’t take long to make either! 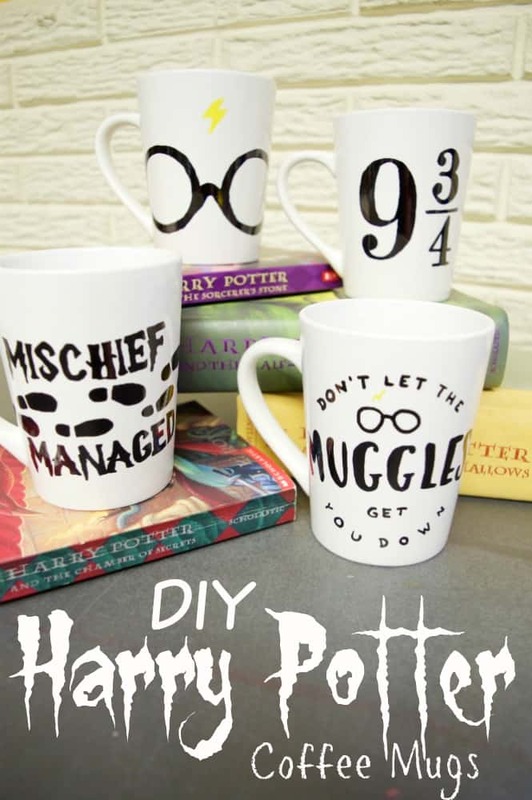 Although I made a whole slew of these for myself I’ll also be making our DIY Harry Potter Coffee Mugs as party favors and gifts this year! 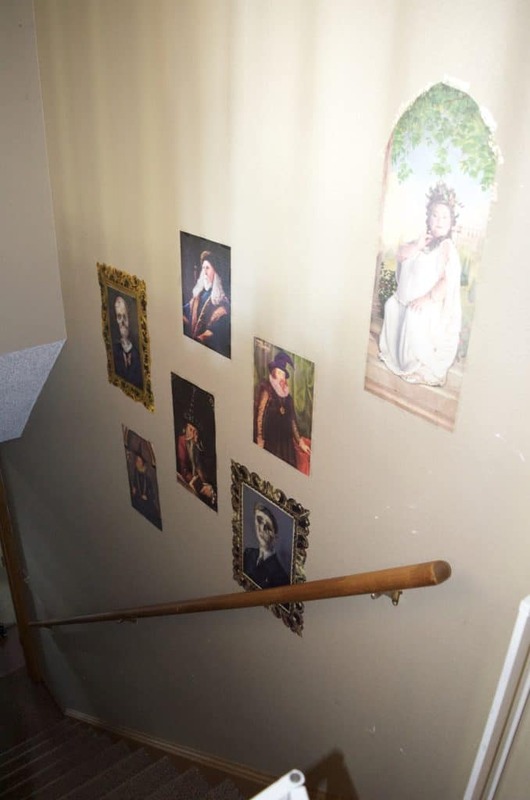 Our staircase is a work in progress but is a combination of holographic Halloween art from the Dollar Tree as well as images I printed online from various places seen in Hogwarts. I bought an old “Outhouse” sign at the thrift store for 50 cents and repainted it to say Hogsmeade! 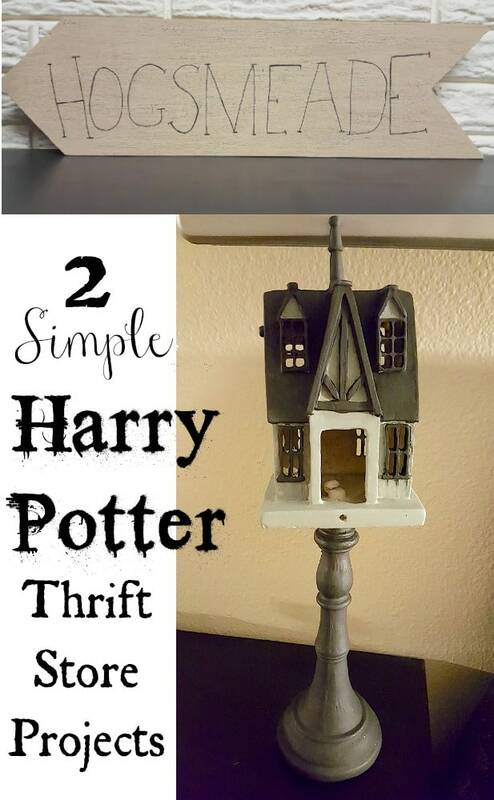 It looked pretty awesome displayed next to my DIY Harry Potter mugs! 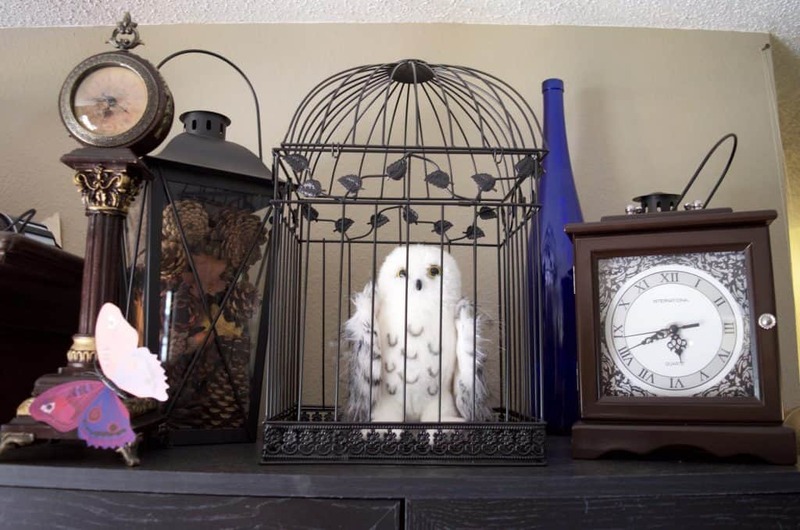 AH one of my favorite ingenious ideas for our Harry Potter holiday was to class it up a bit with a few birdcages and plush owls! My kids went NUTS over the idea! To be honest this was probably the most expensive part of all of our decorations but I’ve been wanting some birdcages for plants and decor anyway so it was an early Christmas present. We used my kids plush owls from their Christmas present – we bought this snowy owl for Hedgewig and this little brown owl for the Weasley’s owl. The large black bird cage came from Oriental Trading. We had originally planned on hanging them all from the ceiling (we have 3) but decided to just place them on shelves instead. I featured these around Halloween since they double for both holidays so nicely. I printed some potion labels for free from Over the Big Moon. It saved me a ton of time just printing free labels and artwork from various places I found on Pinterest. It included various sizes which was perfect for my large and small potion jars that I’ve been collecting over the past year. 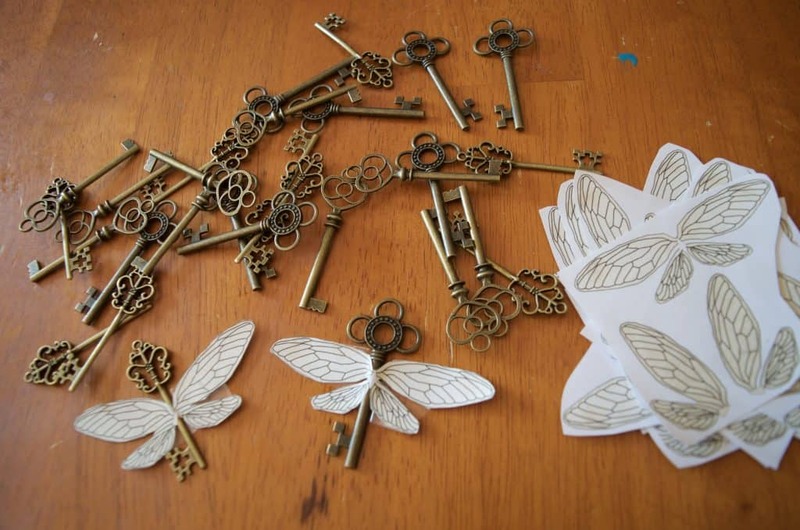 I bought this set of Steampunk Antique keys and printed some wings for it here then just taped them on! Then I used fishing line to hang them from the ceiling! 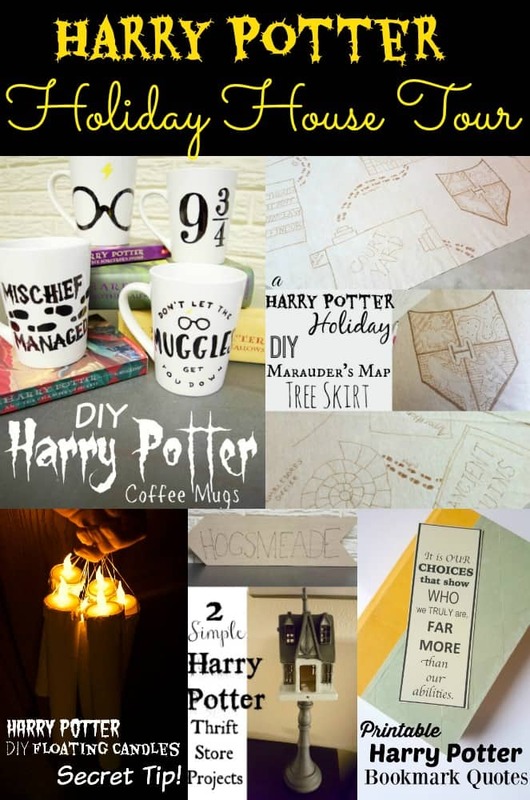 There is no shortage of printable Harry Potter things online – you just have to find the right one you’re looking for! I made these REALLY simple Hogwarts crest banners all out of materials from the thrift store. I printed the house crests out here. I didn’t use any sort of template for the banners – I literally just cut and went with whatever happened. Then I glued on the printable house crest, glued a dowel rod at the top and tied some string around it! It would even be cool to use a stick instead of a dowel rod. 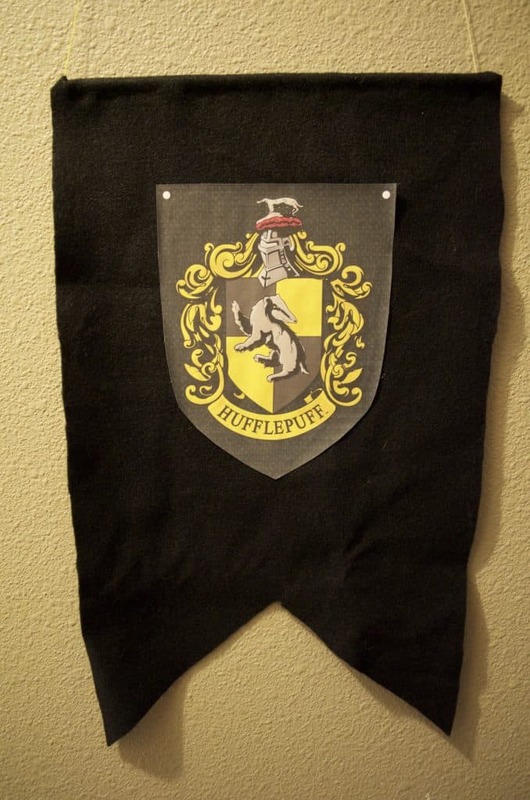 Of course you can buy Hogwarts House banners but be prepared to put a sizeable dent in your budget! 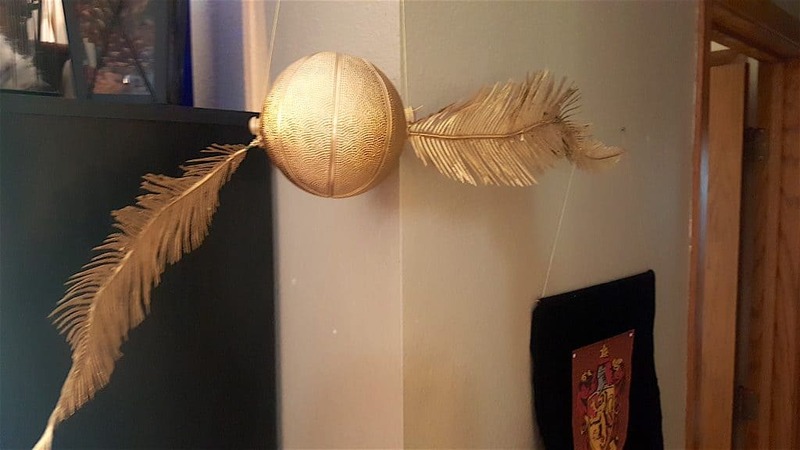 Here’s a simple version of our Golden Snitch – made with a small basketball, artificial plant, and metallic spray paint! Although to be honest I probably should have just bought one for a couple bucks since I spent that much on the paint & fake plants! 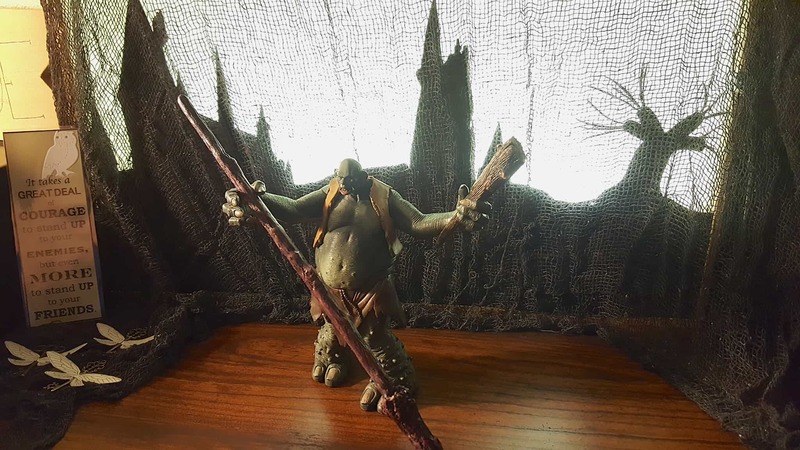 I got REALLY lucky and found this Harry Potter Troll figure at our thrift store for a couple bucks! I also picked up a giant wire “spooky” tree at our thrift store which we are using as a whomping willow. Also at our thrift store I picked up a weird ceramic house thing that I painted to look like Hogwarts. 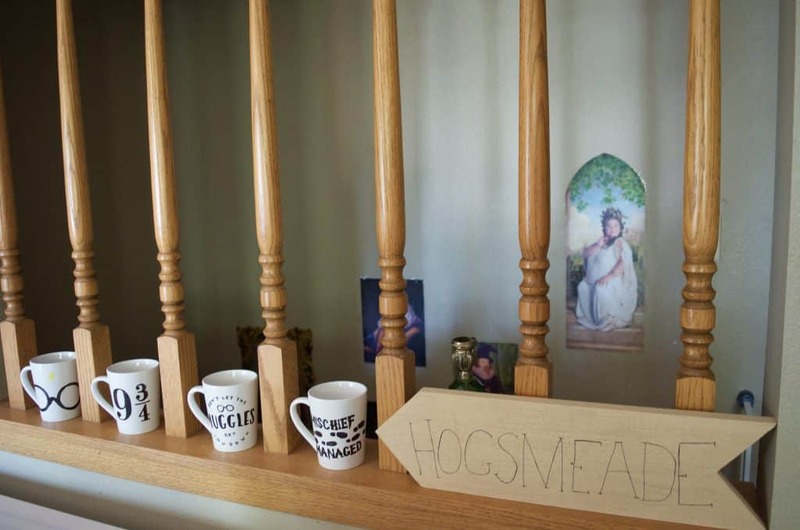 Then I painted a Hogsmeade sign over an old “outhouse” wooden sign that I picked at the thrift store. 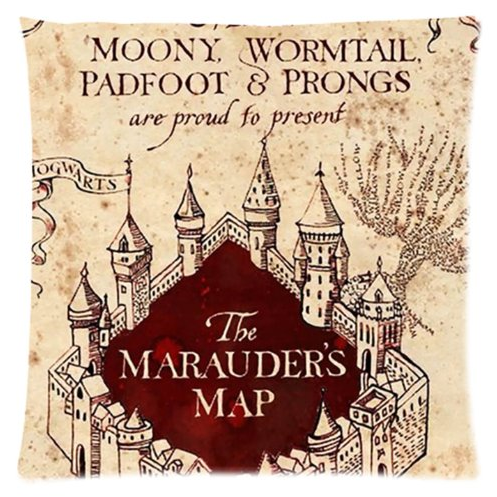 Although there are a ton of Harry Potter printables out there Moaning Myrtle, the common house artwork, and Daily Prophet snips proved to be the most difficult to find! 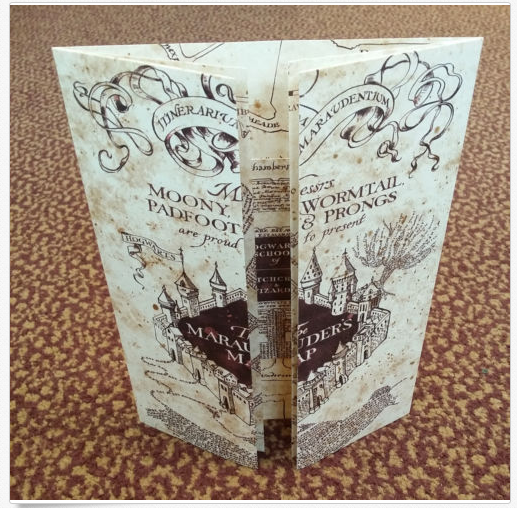 I printed Daily Prophet clips here, Moaning Myrtle here (which I recommend laminating if you’re putting it on your toilet – especially if you have kids! ), and I printed the hallway art work from various sources. 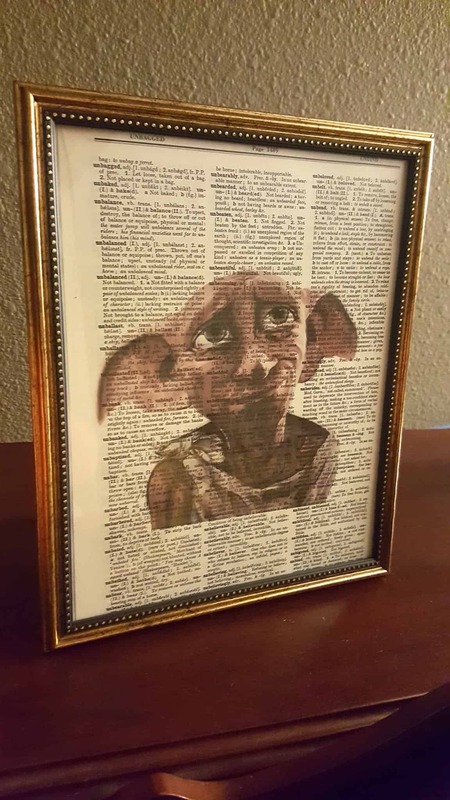 Here’s that awesome Dobby artwork I bought for $5.99. 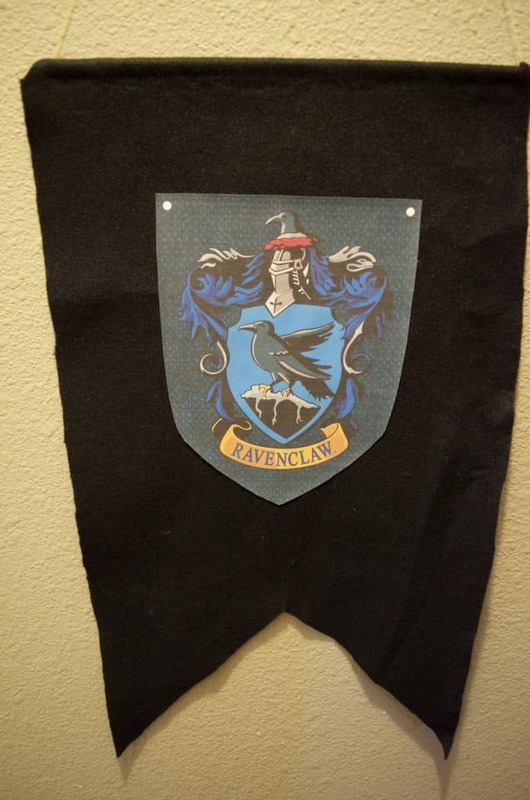 When I received my package they had even included a FREE Hogwarts wall art too so it really was a steal for me! 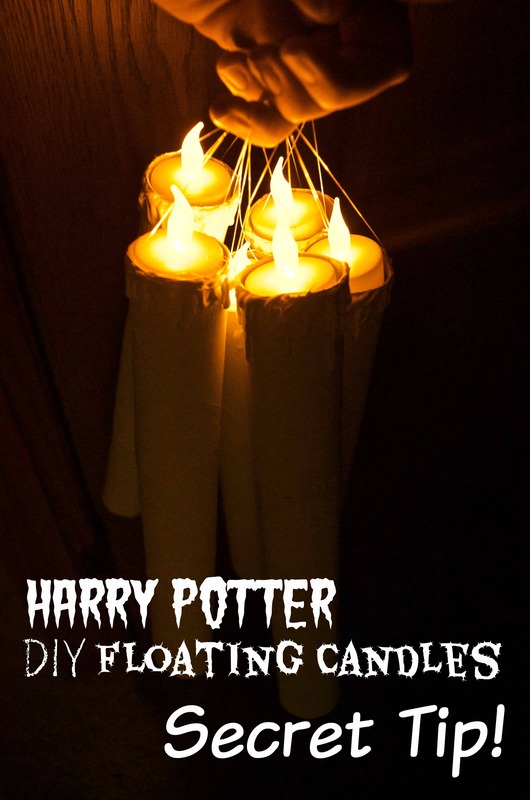 And if you’ve searched on Pinterest at all you’ve seen dozens of tutorials for DIY Floating Candles so I’m not going to have a slew of detailed photos. Basically paint toilet paper tubes or paper towel rolls white, drip some hot glue at the top to look like a candle dripping and paint it white, and use fishing line to hang it up! Now I’ve seen several rather time consuming difficult ways to have the tea lights stay inside of the floating candle but my husband came up with a simple genius method that only took about a second per tube. We took a half sheet of newspaper, scrunched it up really tiny and shoved it down inside the tube, then just set the tea light candle on top of it! Voila! SO easy and you don’t have to worry about the tea light falling out! Keep an eye our for our Hogwarts Holiday Banquet this year! 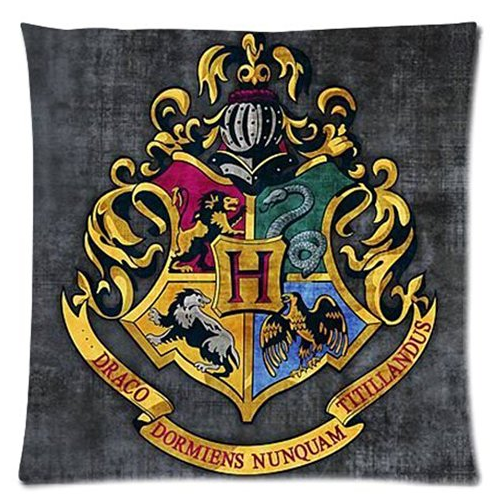 You can find even MORE Harry Potter gifts for $5 or LESS here! 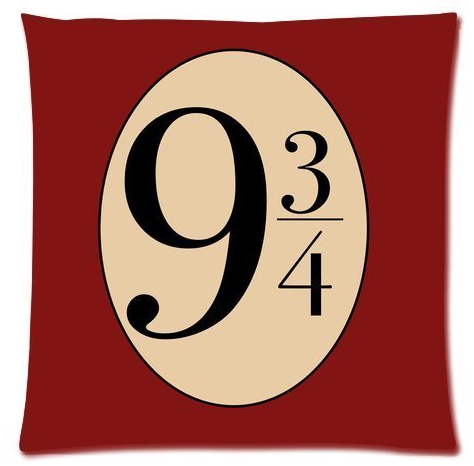 I work at the Stephenville Public Library in Texas and every year, for our last event of the Summer Reading Program, we have a Harry Potter Birthday Party event (usually including a game of Quidditch, courtesy of the Tarleton State University’s Quidditch Team… a kid favorite!). You have just given me a lot of new ideas! Thanks!!! You are my newest Potter Pal and I am grateful!!! Love the candle idea, I buy the battery candles from the dollar store and tie fishing line on them, then hang them from the ceiling. You twist them on and off from the bottom.